Anything can annoy someone using the smartphone for a specific purposes. Calls and messages too, especially from the promotional companies who call you at the wrong times. This gets more annoying when the same company and phone number repeatedly call you. There are many ways to block the calls in different operating systems, but for Android you need to be selective. There are quite few apps, from which the best one would be the Norton smartphone security feature which helps you block the call and text messages from certain numbers, and you can also block any random call that isn’t from someone in your contact list. Download the Norton security app from the Android market, and in the home screen on the app, you would see the option of Call Blocking apart from the other ones. 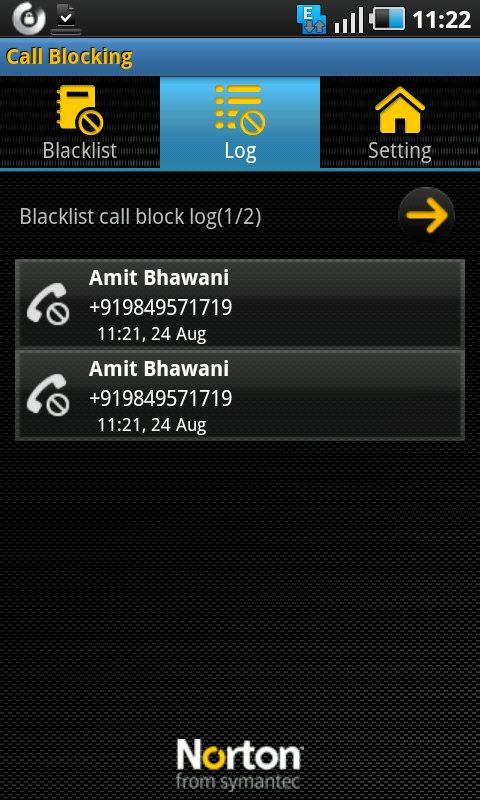 Open the Call blocking section and the blacklist screen appears, where you need to add the numbers in the blacklist. Add the phone numbers which you want to block, by selecting the same from the contacts, the call log, SMS log or by directly inputting the number. 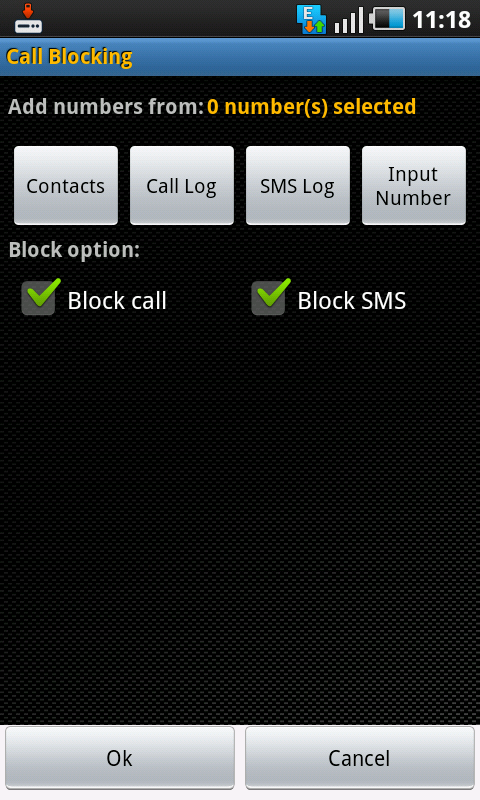 And the option to block either the call or SMS, or both of them can be set from here. 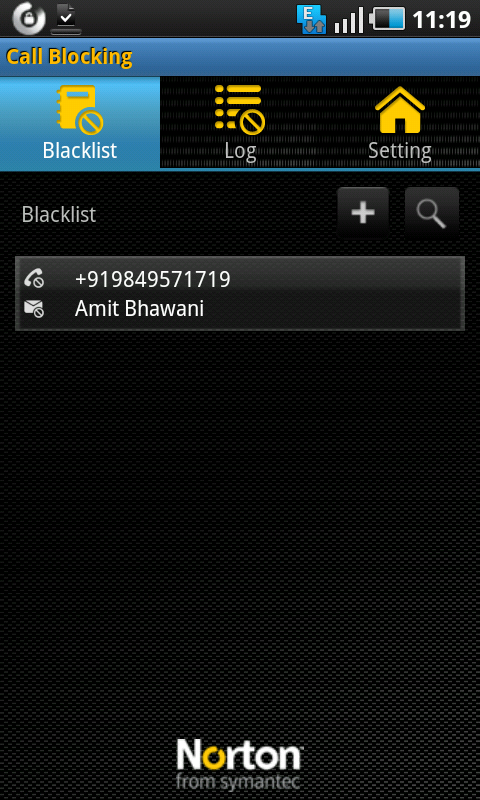 After you have added the number, they appear in the call blacklist, with the information on whether the call/SMS is blocked from that number. The block feature just doesn’t block the calls and SMS, but also lets you know when the caller had tried to connect to you. There is a call log which shows you all the information of the time when the particular blocked number tried to call you, or sent an SMS. The settings help in common function of enabling or disabling the call/SMS blocking and enabling the showing of unknown calls. The call blocking feature of Norton smartphone security is one of the best and easiest ways to keep yourself away from the annoying callers, and that doesn’t need to get installed separately, but comes along with the amazing anti-malware and remote management functions of the Norton app. Fabulous app, although in beta through the Android Marketplace. Gets the job done, no problem. Thanks for the article too…very easy to follow. Here in PEru still don’t have android phones btu I’ve read reviews on them… didn’t know it was complicated to block call from people. interesting post.